This should be fixed in the new build. Let us know if you see it again. instead of outright removing the halloween facing worlds, you should've just taken it out of default map rotation and disabled the pumpkin collection tracker. it's nice to have the option to play on these kinds of seasonal maps out-of-season, like in TF2. OK got to play a bit. whats the reasoning behind this? gratz we can not even swear any more.... ****ing pc generation ruining everything. there are no bad words! - The rocket launcher lock on is too fast. In such a short period of time I found that I was getting attacked by this quite a lot and I don't think it's in the "spirit" of the game. - It was still a bit laggy, but maybe that's just the hosting. - I got bugged out where I kept running left and then feigning death and eventually cratered. Current Main Issues: Tri-Rox (Remove), Scoreboards lack player stats,Team Balance. -link gun shaft guys do i need to kill your animations guy? -god **** it guys you sure salvo is a good idea? If not line of sight to killer, spawn a hologram of the killer at the location where he shot from and look at that. Only follow killer for three seconds with death cam. Adjusted deathcam view position over the body and other improvements. I played it early today and like the changes. I'm gonna do a run down on it soon and post a YouTube video. 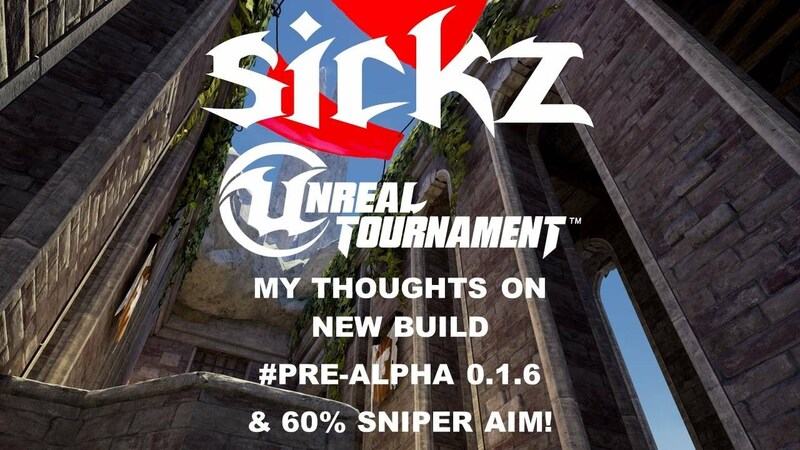 Unreal Tournament - My thoughts on new build #PRE-ALPHA 0.1.6 and I got 60% sniper aim while making this video! - Rocket launcher lock-on. Terrible idea for arena fps, get rid of this please. - Grenade launcher. Get rid of this disgusting weapon and return grenades to the rocket launcher. - Linkgun overheat, still no fan of this. - Secondary Mini, please return original feature of a few builds back. The noob-friendly, always hit action is really not suitable for a game like UT. Please start making some progress on this game ffs. My in game sensitivity wasn't 1.26 and now it's like 2.77 or something. It feels the same as before, though. Did the game automatically translate old sens to some new number? ... try setting the resolution via console using "setres" command: "setres 2560x1440"
same here. the native resolution of my display is 1920 x 1200. i can´t change the display setting. it is automatically set on 1250 x 720. when i select 1920 x 1200 it switch back to 1250 x 720 when i press ok. but the GameUserSettings.ini shows the right settings. ... setting via console works but will not be saved for the next game start. i have to do it every time. sorry, i do not speak english well and i use google translator to read and write. New Update with Community Maps Available! - Now with Redist fix!